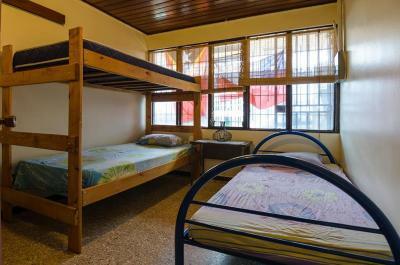 Lock in a great price for In the Wind Hostel and Guesthouse – rated 8.1 by recent guests! Great pancake n fruit breakfast; Josie and staff were extremely knowledgeable and helpful with attractions; feels a lot like you would want your own living no room to be. It was cheap and the staff was awesome. Also walking distance from food. My stay in the Wind Hostel was wonderful. 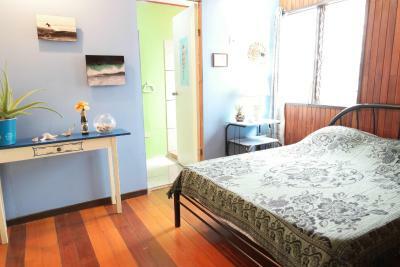 The location is perfect, you are just a few minutes walk to many bars, restaurants and nightlife. The bus station to San José is really really close, and it would take you no more than 15 minutes to get to downtown. Also, the staff is absolutely friendly and helpful. They know the country and the city and are glad to help you. 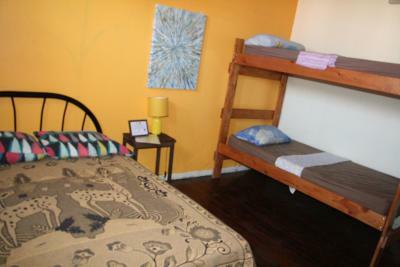 Moreover, the owner speaks 3 languages : french, english and spanish ! 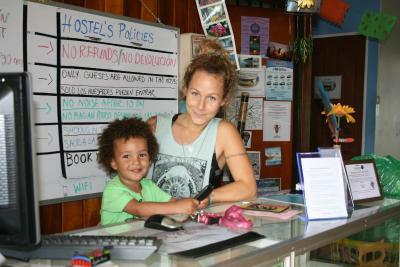 There are some truly good vibes in this hostel, everything was perfect ! I recommend it for anybody, any age and any nationality ! I loved this place so much. 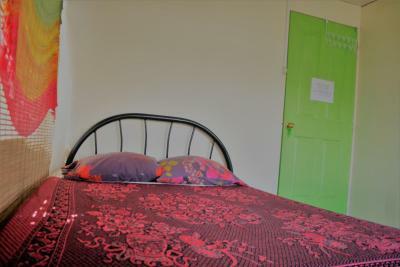 Staff was super attentive, location was amazing, a short walk from an area that was very lively at night, although the hostel was very calm and in a silent street. Our room was very nice and clean. I have recommended it to my friends. Room was next to the bathroom separated by a thin door with a lock on it. I could literally hear people doing their toilets. Window was broken, we could not close it. It was windy and loud because of the traffic outside. Bright rooms, plenty of natural light. Great location, easy to walk to many fun bars and great restaurants. Confortable place, clean and very kind and cozy staff. Quality/price is awesome, you’re also have breakfast and tax included in the total price. I suggest this guesthouse! The pancake is delicious and the staff are some of the nicest, good-hearted people. They know how to have a lot of fun too! Anyone is accepted and allowed to be who they are at In the Wind, which is exactly what I look for as a traveler. 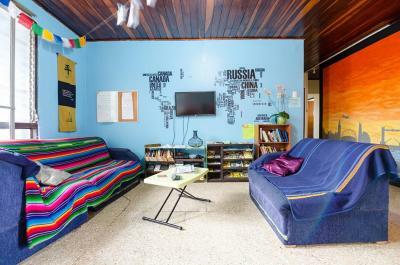 The location is also awesome, the hostel is really close to a major university (40,000+ students) so if you are a young person it's an easy place to meet like-minded people. Good location a couple minutes walk from bars. Not a party hostel but met some nice people in the social area. Breakfast was good, prepared by the super friendly staff. Room was quiet and clean. Bathrooms are clean and have warm water showers. Will stay here again if I come back to San Jose. 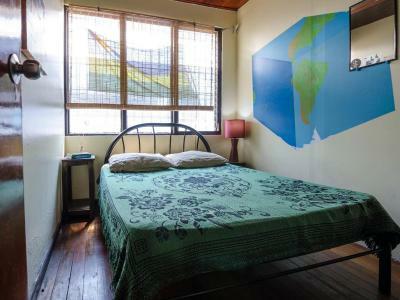 In the Wind Hostel and Guesthouse This rating is a reflection of how the property compares to the industry standard when it comes to price, facilities and services available. It's based on a self-evaluation by the property. Use this rating to help choose your stay! 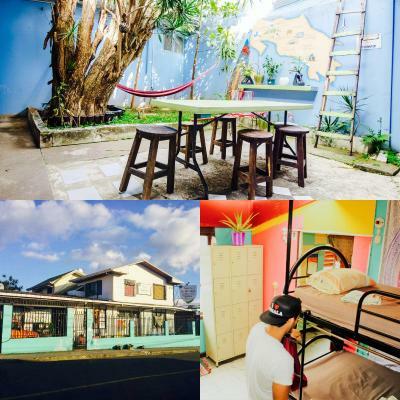 In the Wind Hostel and Guest house is set in the heart of lively, upscale San Pedro and only 1,300 feet from the University of Costa Rica and the student nightlife of Calle de la Amargura. Street parking is available in front of the property. 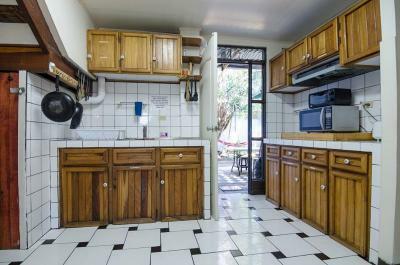 Free breakfast and showers with hot water are included in this property. 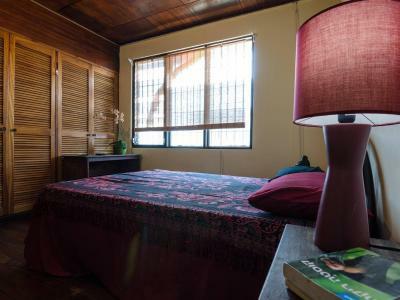 The property is 10 minutes by bus from downtown San Jose and walking distance from Mall San Pedro, three supermarkets and many restaurants at affordable prices. San Pedro is a safe, upscale neighborhood in San Jose. Shops, bars and restaurants can be found in the streets surrounding the property. San Pedro Shopping Center is a 5-minute walk away. Busses to central San José stop close to the hostel. The city’s airport is a 35-minutes drive away. 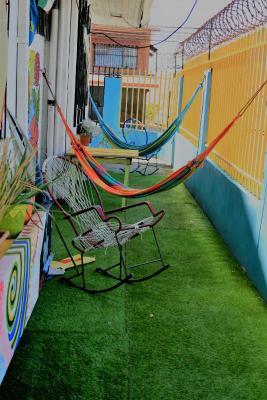 When would you like to stay at In the Wind Hostel and Guesthouse? 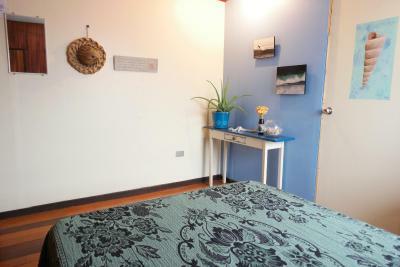 This room offers a single bed, a little desk, free WiFi and access to shared bathroom facilities. 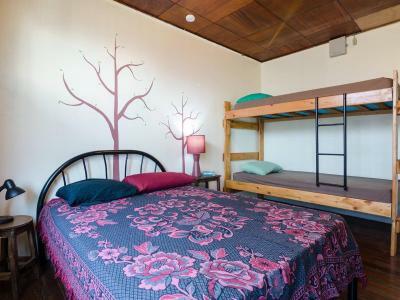 This dorm offer 8 beds, free WiFi, and access to shared bathrooms. 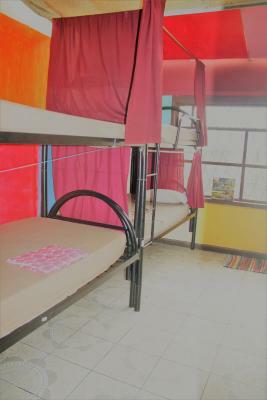 All the beds have a curtain, a reading light and an outlet to connect a phone or computer. 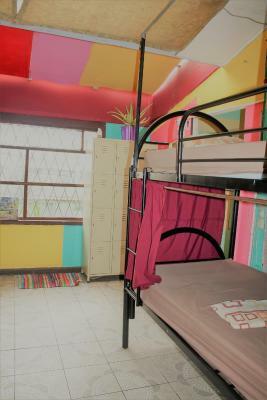 These well decorated rooms offer a double bed, free WiFi and access to shared bathroom. 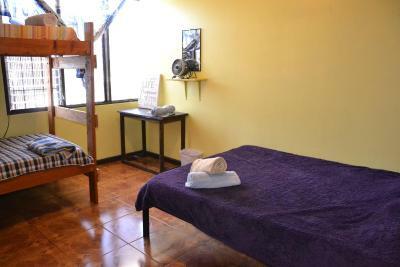 These rooms offer a double bed, free WiFi and a private bathroom with hot shower. 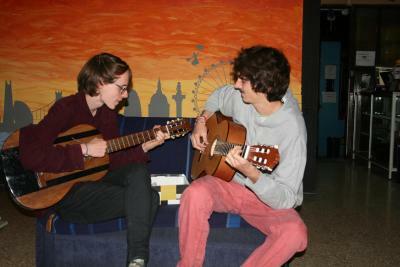 House Rules In the Wind Hostel and Guesthouse takes special requests – add in the next step! 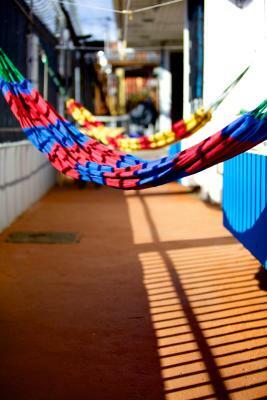 In the Wind Hostel and Guesthouse accepts these cards and reserves the right to temporarily hold an amount prior to arrival. Get a Free Drink if you book a night in our dorm for July and August. Breakfast is daily served from 8am to 10am. Please inform In the Wind Hostel and Guesthouse of your expected arrival time in advance. You can use the Special Requests box when booking, or contact the property directly using the contact details in your confirmation. In need of some urgent refreshment - everything feels rather old and dusty. But the staff was great and helpfull. 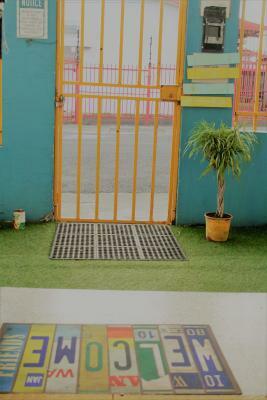 Friendly and helpful Staff,nice breakfast, good location, not far from the center. The owners are really nice and helpful. It's quiet. Interesting people in the common area having conversations. Best pancakes for breakfast in Costa Rica! the pancakes were great and the location of this home is perfect. Total disregard of my requeat for a bottom bunk, and I request this because I have a 3rd degree injury on my knee, so I try to avoid climbing up and down of the bed. Then because there was kind of a hole on the ceiling and a broken window, so a cold windstreem got in all night (maintenance of the place is poor, they are covering holes and other defects with fabrics and things, that look really nice, but at certain point it will not do the trick) To top it up with a cherry, due to the cold wind I went tho the restroom Like a million times... and the place was not full I checked the following day. 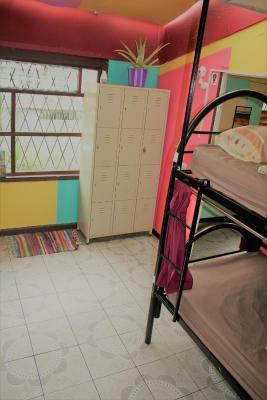 So, never knew why three guy did not give me another room with a bottom bunk bed. Really great location, close to everything you need. Breakfast not the best, but ok, only hot beverage ootion is coffee, so prepare for ir or bring your own tea or chocolate. At the end, what made the experience a little better (I had a really bad night )was the fact that I had a really nice, energetic conversation with some of the guests, relly nice people stay there, meanwhile they commute to another part of the country. Very nice staff, I really felt like home and stayed for a couple of extra days there to relax and enjoy good vibes :) I loved cooking meals all together, chilling in the garden... Great job done with the decoration it is awsome. I totally recommend it to individual travelers !! We really enjoyed our stay. 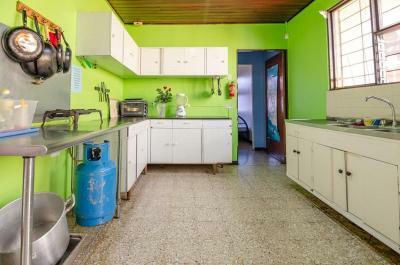 The staff is very nice, with all commodities, a kitchen and overall very clean. They recycle and do other gestures for the environment which is great. They have folders with informations about bus timetables or tours. The room is basic but everything you need. 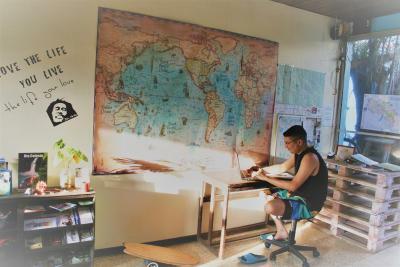 There is no table, for sitting to write, in the dorm room. There is a table and stool in all of the singles and doubles (noticed in the upstairs rooms that are always left open when not occupied), but not in the dorm. So, for me (doing Spanish study), that's a problem. 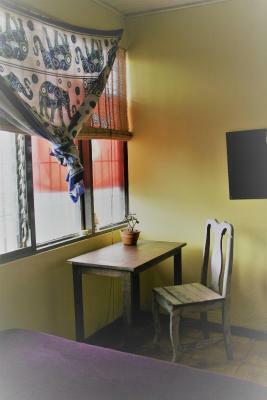 I have had nowhere to sit and write because the only 'common' table downstairs is in an open courtyard near the kitchen. It has rained for part of every day I've been here, so that table is 'in the rain' or wet from rain. There's a small table in the loungeroom, but that's the TV room, so not a quiet place to sit and write. Also, in the upstairs dorm (don't know if there are other dorms), the traffic noise goes on all day - but, about midnight, it stops until about 6:00 am. So it's quiet for sleeping. 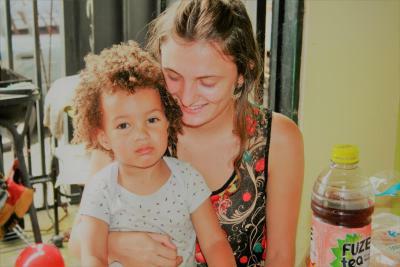 First, for me, it is important to be close to transport to Heredia (best Spanish language school in CR, lovely untouristy town, excellent cheap fruit market, many nice eateries ). 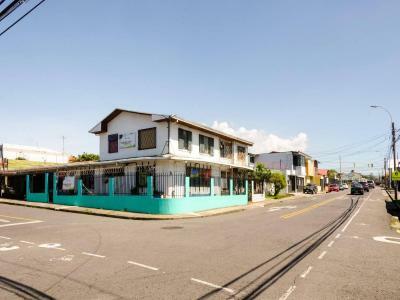 Near this hostel, there is the train (during commuter hours) to Heredia, from UCR (University of Costa Rica) Station, and also a direct bus to Heredia. Transport to the city centre is also excellent, and very cheap, with many buses passing by the university. Also, there is a direct bus from UCR to Escazu (the very upmarket part of San José, with many expats living there, and with the best mall in San José) - timetable on-line for that hourly service. Second, there is good Wifi - in the upstairs dorm too. 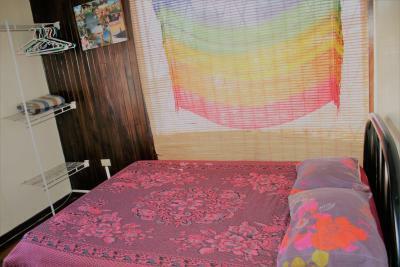 Third, the bathroom is kept very clean, and there is always hot water for the shower. Fourth, I like Spoon - a local restaurant/coffee shop chain, and there's a very good branch close to this hostel - just under the highway, in Avenue 8, down one block. It's open until 9:00 pm, and it's a good place to go for a few hours to use a table. The Wifi there is also good. Street parking and difficult to find front entrance. 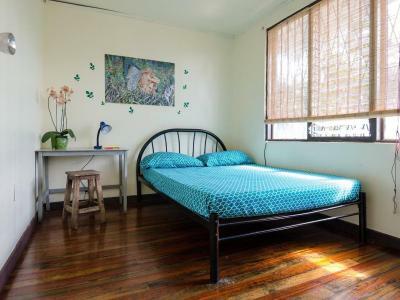 I liked the dorm bed with the curtains that provide some privacy. A bit noisy because of trains nearby. I stayed in a dorm and in a private room and both were great. It was not possible to completely close the window. 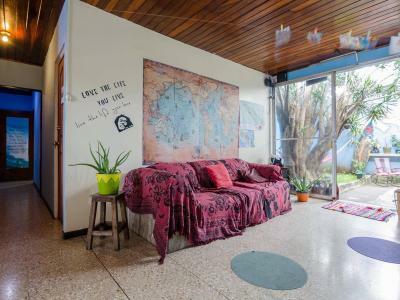 Amazing and save location close to university in San Pedro.